Many homeowners face a bit of a dilemma when trying to figure out what to do with their excess household goods when moving to a new location. It’s not the best option, but renters have been known to simply leave those items in the house or apartment. But this isn’t feasible if they’re selling their house. This leaves them with the problem of figuring how and where to dispose of those unwanted items. You can probably just take them to the curb in front of your home and place a sign on them that reads "Free." Another tempting course for homeowners is taking their old things to the local landfill, assuming there still is one near you. The good news is that there are other feasible options. Online shopping has become an American past time and millions of people are engaged in both shopping on their computer or phone and, because of that, millions of others are busy with online selling. The technology has provided the ability for individuals to buy just about anything and to sell them, too! You’ve most likely heard of eBay even if you've never been there. Along with eBay, another well-known site is Craigslist. While this site does more than let people buy or sell things, it is primarily used for that purpose. Both of these sites, along with probably dozens of other lesser known sites, are great for homeowner who want to get rid of old furniture or appliances. It’s a great way to do so while making a little money in the process. 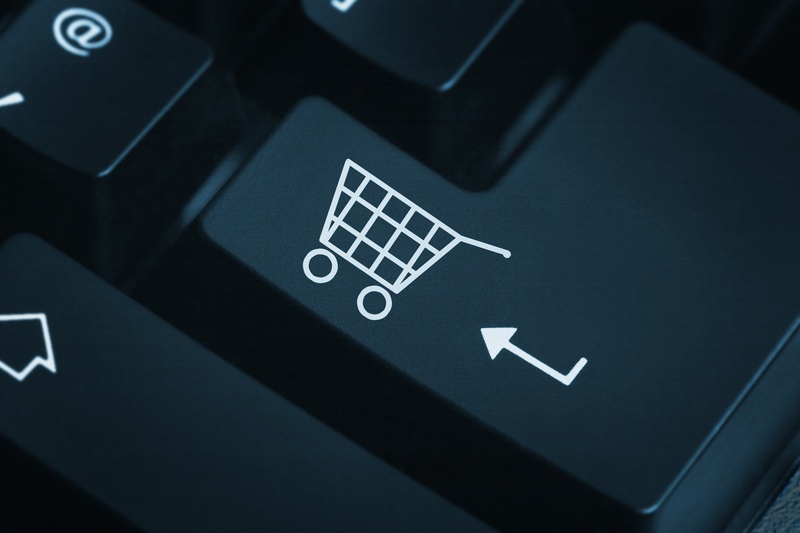 Year of experience has established several useful tips for prospective online sellers to help them be successful in their efforts. Here are a few top tips to help you make the most of this option for getting rid of unwanted items. You don’t want to deal with shipping large items. Sell locally and have buyers pick up the items you sell. Not everything sells. Focusing on popular item will attract multiple bids from potential buyers. Don’t offer items that need to be seen or tried out first. Take time to make items look clean and in good condition. Online marketplaces are visual marketplaces. Good photos sell better. People want to know if an item is not in perfect condition. Be transparent. The key is to price items to sell, not to make lots of money. You don’t have to give things away, but you can negotiate a more attractive price, if it helps sell an item. Some sites are better for selling furniture, while others are great for smaller, high-value items. Learn the nuances of various online shopping websites. For example, Craigslist is used largely by people looking for a deal. On the other hand, eBay is great for your pricier items. And, although Craigslist does have a wide variety of classified categories, the market tends to favor specific items. For example, Craigslist is excellent for furniture and technology items, but not so much for decorative items. Maybe you have a large number of items like books and clothing. If you’re want to sell these types of goods, consider sites like eBay. And don’t overlook other online selling sites like Etsy or even Amazon as they are also great online selling and shopping sites. If you’re moving soon, you may find that you need some things removed. Whether it’s junk, large trash items, or simply the unwanted items you either couldn’t sell or chose not to, you often need someone for junk removal. This is a real necessity when your home needs to be prepared for showing. It’s not unusual for some large trash pick-up and de-cluttering to be done before selling a home. If you are an average homeowner, according to several studies, you’ll sell your current home after about six years of living there. And, during that time you will typically accumulate large quantities of items in the garage, in the basement, or on the side of the house. Perhaps you’re a real estate professional and you have a situation where the previous homeowners have moved out and items they’ve left behind need to be cleaned up and hauled away. It may seem unkind to call these items mere “junk”, but the fact is that for you to show the home those things needs to be removed. When you decide to outsource the cleanup part of a move, you need to choose the right firm for the job. You can always find some guys with trucks to do the job, but that may end up costing you for more than you hoped to save. This is why Junk King really is the firm of choice. 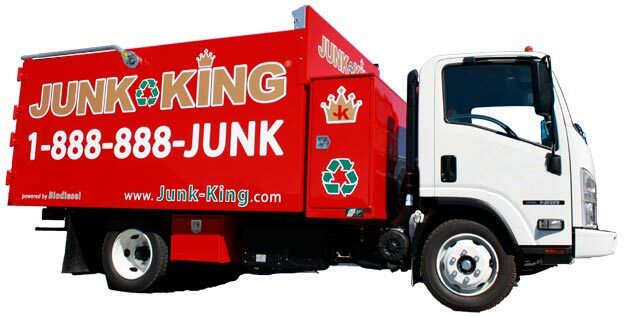 Junk King provides an efficient, safe and eco-friendly residential junk removal service so you don’t need to worry about the pick up or disposal of household items and debris after the move is complete. One of the best things about hiring Junk King is that we recycle a much of the material we pick-up. This is proof of our commitment to be an eco-friendly removal service. If you have questions about what we do or what we believe, give us a call at 1.888.888.JUNK (5865).